Taylor Kitsch, or Jimmy Fallon rather, just opened up a can of worms that most of the '90s boy banders are probably (definitely) wishing he hadn't. On The Tonight Show With Jimmy Fallon, the fabled and mythical frosted tips phenomenon appeared once more in its infinite glory. The inevitable photo of Taylor Kitsch with frosted tips has finally surfaced and our eyes are immensely pleased. Don't be too hard on Kitsch or Fallon though, because our favorite Friday Night Lights star isn't the only one who's dipped his hair in a bucket of bleach. Fallon jokingly asked Kitsch what boy band he belonged to and honestly, it's not such a ridiculous question because a majority of people on our "Fave Frosted Tipz" (yes, with the "z") list were actually from boy bands. Perhaps it was a cult-like rite of passage? A cruel initiation ritual? A bonding tactic?! Never mind the reason though, because this plague affected adolescents young and old in droves. We've actually compiled an extensive list for you (and you are so very welcome) of the best frosted tips we could dig up. It's a crazy and nostalgic trip down memory lane but it is oh so worth it. It should be noted though, that no two tips are the same, they're the snowflakes of hairstyles, really. They can be curly, icy, platinum, spiked, or flat, but no matter the look they all hold the same special place in our hearts. Now that we're thinking about it, he may still be rocking this do'. 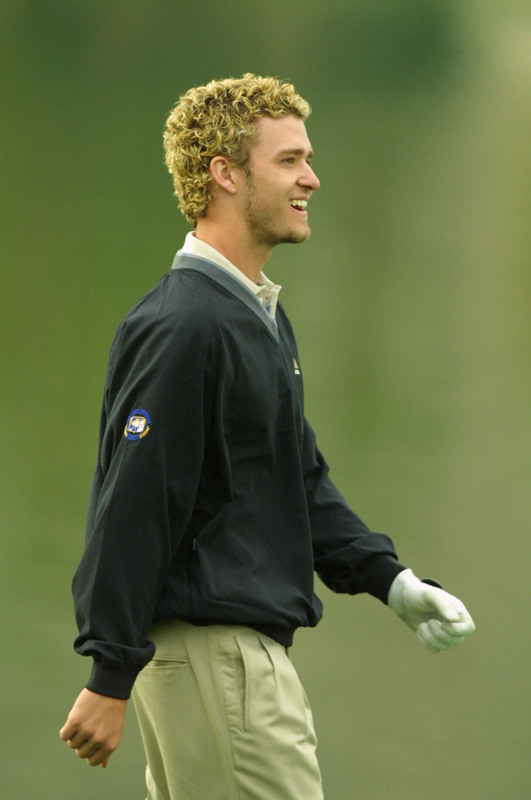 The patron saint of frosted tips. BE STILL MY BEATING HEART. He was the CUTEST child. Oh, Guy Fieri. You do you.